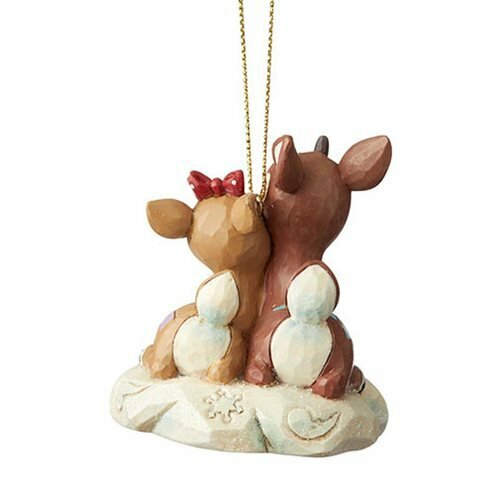 Aww… aren't they sweet? 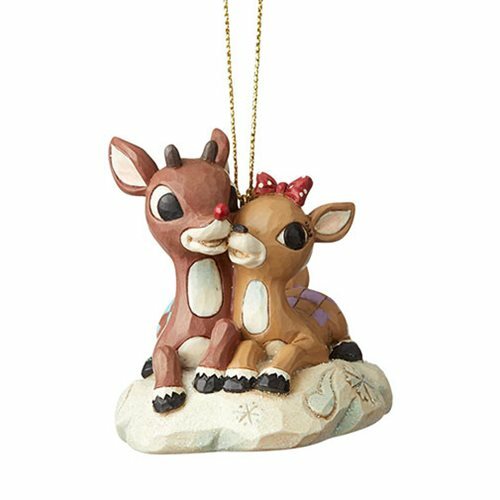 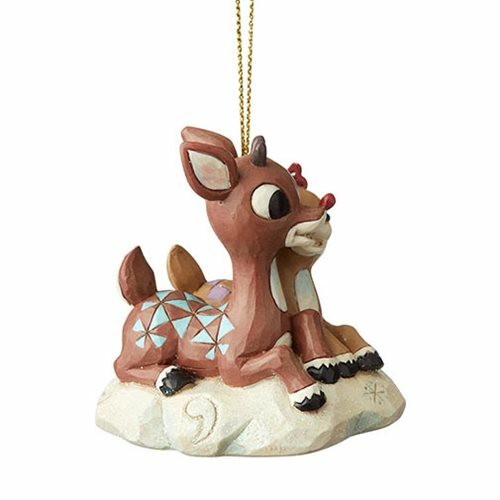 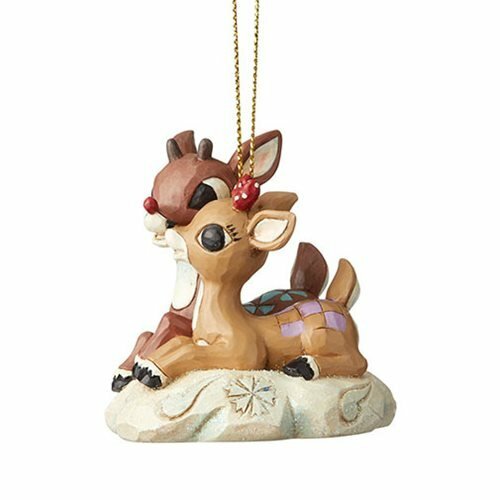 Rudolph and Clarice are all lovey-dovey in this precious 2 3/5-inch tall x 2 1/2-inch wide x 2 1/2-inch long Rudolph the Red-Nosed Reindeer and Clarice by Jim Shore Ornament. 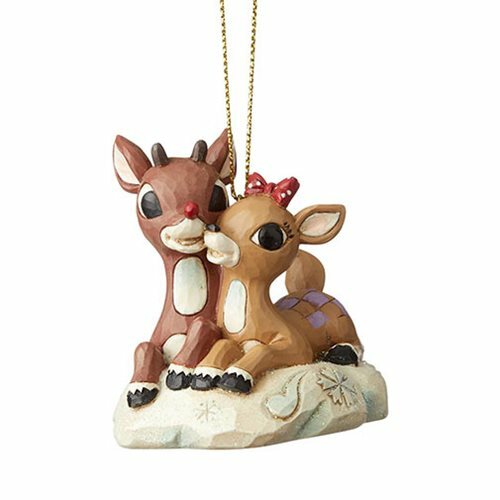 It's crafted of stone resin and belongs on your tree!